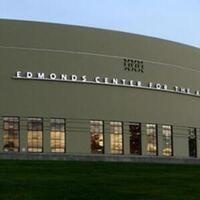 Edmonds Center for the Arts (ECA) opened its doors to the public in 2006. ECA, a non-profit organization hired by the City of Edmonds Public Facilities District, manages the facility. ECA presents an array of outstanding performing artists from around the world, provides space, production management, and technical expertise for a variety of community partners and rental clients, and serves more than 65,000 patrons who enjoy the facility annually.